The goal is to create content that provides informed answers to the questions of your industry. Blogging when done with a purpose, attracts business to you. The elusive, ready-to-chat, qualified leads. When users are searching for content online, they are selecting specific keywords or asking a specific question they would like answered. To do this well, you will need your blogs to be both reflective of your industry experience and understanding of your end customer’s questions. You are an expert of your field—whether it feels that way every day or not. As the expert, what you identify as industry pain points is a great starting point for creating content that will resonate. But sometimes that expertise can blind you from identifying easy content that does not feel as relevant to your own questions. Remember, you are the expert. Whether you are new to your field of work or a veteran, it is crucial to remember that your reader/customer is not always informed to the same extent you are. While your own experience in the industry is a great place to start, there are tools available to help you generate ideas for blog topics. Google AdWords is a tool we recommend for identifying your top performing pages. It also lets you review competitors most successful blogs as well. No, do not just repeat what’s working. Use this as a guide, something that shows you what topics are currently performing well – and vice versa – which topics aren’t resonating with your customer. Blogging is a phenomenal way to drive traffic. However, the traffic potential of blogging hinges on your focus and understanding of on-page SEO [Search Engine Optimization]. As your customer uses Google to answer their question, Google’s algorithm is determined to find the most highly-relevant content for a specific search. In a competitive market, chances are you aren’t the only company out there with some answers. If you work with Google and prioritize on-page SEO, that is the “secret sauce” that puts you in a good position to rank high and capture organic traffic. So great, your blog is answering difficult questions and is optimized for your selected keywords, AND you rank competitively on Google. Still not getting the traffic you like? Where to next? Social platforms and e-marketing are opportunities to amplify your best content. By getting your brand in front of more people, you’ll increase your leads. Let’s review how LinkedIn and E-Blasts will assist you in driving web traffic that leads to conversions and sales. Note: LinkedIn, Facebook, and Twitter can all be utilized as both Paid and Unpaid Advertising platforms. This is simply creating a brand online. Whether it’s your own personal page or a company page, there is no charge for posting and sharing with your network. If you are still in the process of growing your own personal brand, look into joining LinkedIn groups as an option to get your activity and content in front of more eyes. If you are looking for a more tailored audience, utilize LinkedIn Ad manager. Narrow your target audience down to the specific demographic that you identify as an ideal customer. There may be trial and error at first and that’s part of the process. LinkedIn provides countless filters that you can alter until you find your target market. This may vary for different content types. We will use that hard-earned list of contacts from trade shows, client happy hours, your local association, etc. You worked on building relationships and paid a premium for these contacts. Set a cadence for a newsletter, compiling all that work you put into your blog into a format that communicates that value to your end-customer. Blogs answer the questions your prospects are asking. Use this to build rapport and a relationship with your prospect list. Don’t just send another salesy piece of collateral, boasting about your brand, or jamming all your products and services in one email. Blogs allow you to send tangible value to your prospects, answering questions about problems they need answered today. Utilize Google as a tool to assist in tracking, and more importantly, identifying your successes and challenges with blogging. Google Analytics is FREE – check out the demo account here. It is a phenomenal tool to help you identify what works, and what might need some more work. Below is a quick guide to some of the most important website metrics that you can analyze with Google Analytics. Page Traffic [or] Blog Traffic: How many people landed on that webpage? Bounce Rate: Are users getting to your pages then leaving immediately? Keywords: Does Google Analytics rank your keywords as relevant search terms? Impressions: How many people saw your personal or company post on your blog? CTR [Click-Through-Rate]: Out of all those people that saw it, how many clicked your link? Engagement: Are people interacting with your social posts? Liking, commenting, sharing on their own accounts? That might seem basic, yet crucial in gaining exposure. Still trying to make sense of it all? 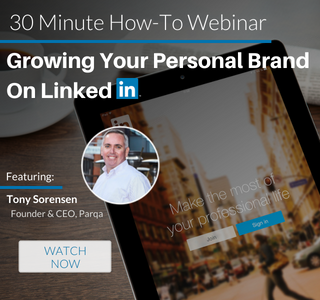 Check out our webinar, where Parqa’s CEO Tony Sorensen outlines “the why” to blogging, content marketing, and how Parqa incorporates an inbound strategy to differentiate their clients. 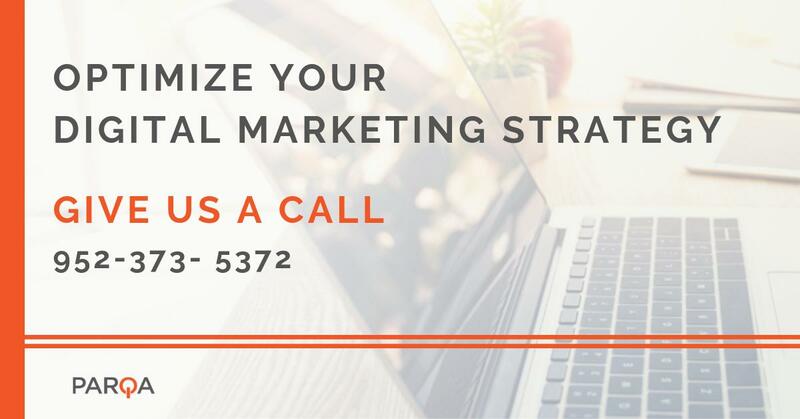 Schedule a call with a content strategist on the Parqa Digital Marketing team. We’re here to chat, brainstorm startegy and answer any questions you might have on your first steps towards a 2018 Inbound Strategy. Tags: Content Marketing, Content Strategy, Digital Marketing Strategy, Gated Content, and Un-Gated Content.